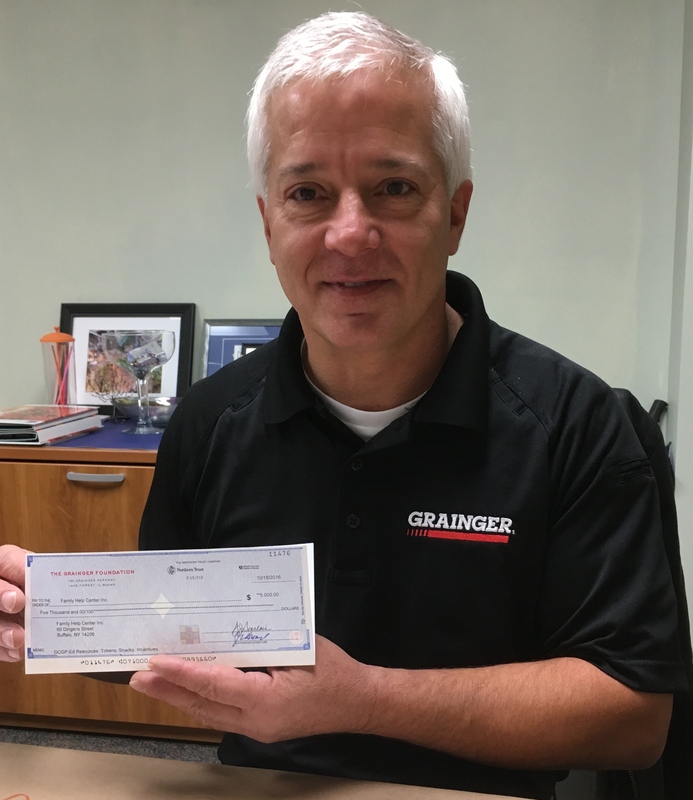 Ronald Burkard, Operations Manager at the Buffalo location of W.W. Grainger, Inc., presented Family Help Center with a check in the amount of $5,000 provided by The Grainger Foundation, an independent private Foundation based in Lake Forest, Illinois. This grant will support the Agency’s Parent Education programs, which include a Parenting Wisely Group and Parent Cafe’ educational sessions. Parenting Wisely is an evidence-based model which provides participants with improved general family functioning, improved use of effective parenting skills, reduced family violence, an increase in appropriate discipline methods. Our Parent Cafe provides a relaxed cafe’-style approach to engage parents in meaningful conversations about things that are important to them. The benefits we find are improved supports or coping strategies that help them parent effectively, even under stress.